LEWISVILLE, Texas, February 1, 2018 – Each new YMCA facility is constructed focusing on the needs of the community it’s serving and the Exeter, N.H., YMCA is no different. The 33,000 square foot facility features fitness studios, weight and cardio rooms, a gymnasium, indoor track and a community room. Almost 17,000 square feet of insulated metal panels from Metl-Span make up the envelope for the building. 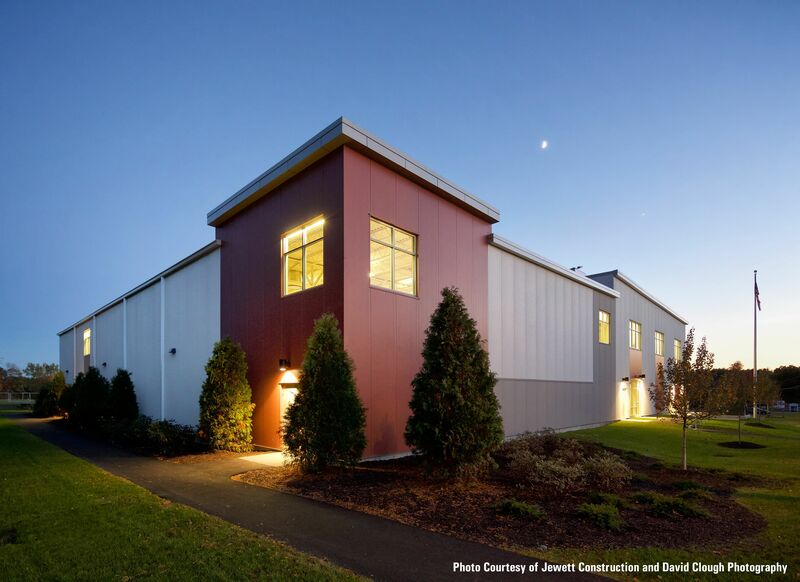 Brian Hoey, president of Brookside Co. Inc. of Stow, Mass., oversaw construction by Barrett Siding of Londonderry, N.H, including the erection of girts and installation of insulated metal panels. 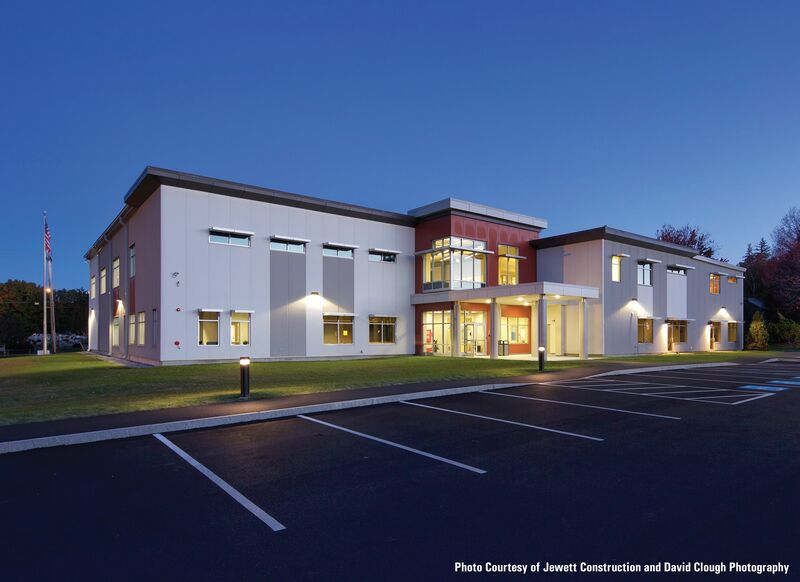 The exterior of the Exeter YMCA is comprised of three Metl-Span profiles, including 8,388 square feet of Tuff-Cast in Textured White; 3,436 square feet of Striated Wall Panel in Terra Cotta; and 5,089 square feet of Tuff Wall in Light Gray. All three profiles are coated with Valspar’s Fluropon architectural exterior coating that offers a masonry aesthetic often desired by architects and building owners. Tuff Wall is a stucco-like insulated metal panel, while Tuff-Cast offers the appearance of finished precast concrete. Blin says the sleek look of the insulated metal panels helped achieve the aesthetic goals everyone was hoping for. Architect: Bruce Ronayne Hamilton Architects, New Ipswich, N.H.
IMP Installer: Brookside Co. Inc., Stow, Mass/Barrett Siding, Londonderry, N.H.